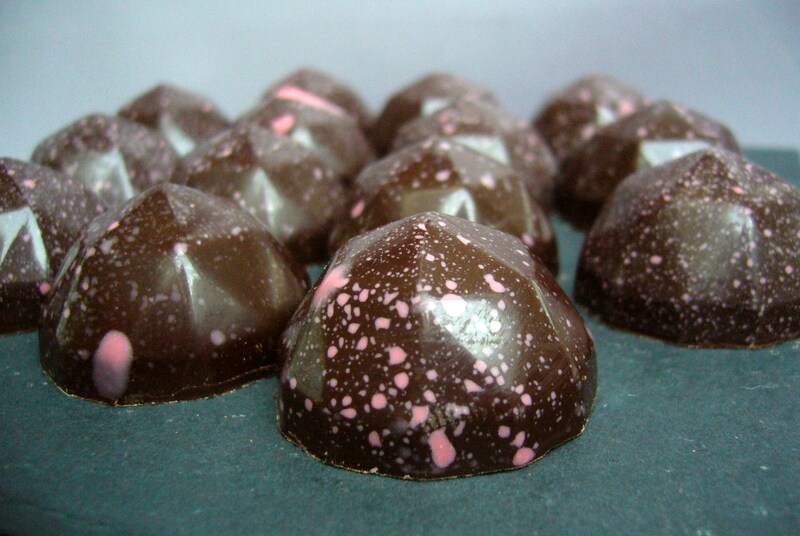 These glitzy, shiny gems are made from a beautiful, fruity Madagascan chocolate with real character. Their pink flecks give a hint at the flavour of their filling, and were today described as ‘mini planetariums’, which I thought was lovely. Inside their colourful shells hides a firm ganache, bursting with tangy raspberries and rich, dark chocolate. As the centre quickly melts away you are left with a kick on your tongue from the freshly ground black pepper. Fruity, tangy, sharp, rich and peppery all in one mouthful. Oh, and they are dairy-free too – bonus.